IISD Reporting Services (IISD RS) has produced daily web updates and a summary and analysis from the 2nd Scientific Conference and CST S-3. 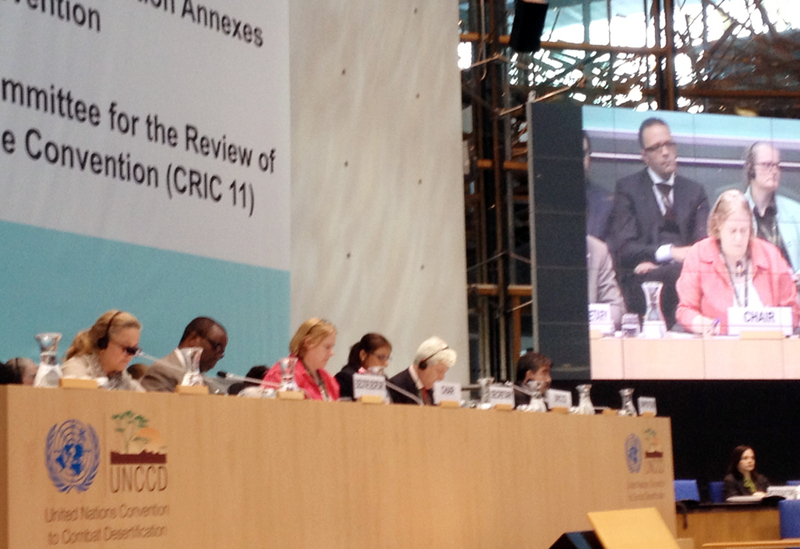 In addition, IISD RS has produced daily web updates and a summary and analysis from CRIC 11. To download our reports, click the HTML or PDF icons below. The dais during the evening plenary. L-R: Elisabeth Barsk-Rundquist, Global Mechanism; Luc Gnacadja, Executive Secretary, UNCCD; Mary Rowen, Chair, CRIC; Radhika Ochalik, UNCCD Secretariat; Massimo Candelori, UNCCD Secretariat; Luis Estuardo Rios González, Rapporteur, CRIC. 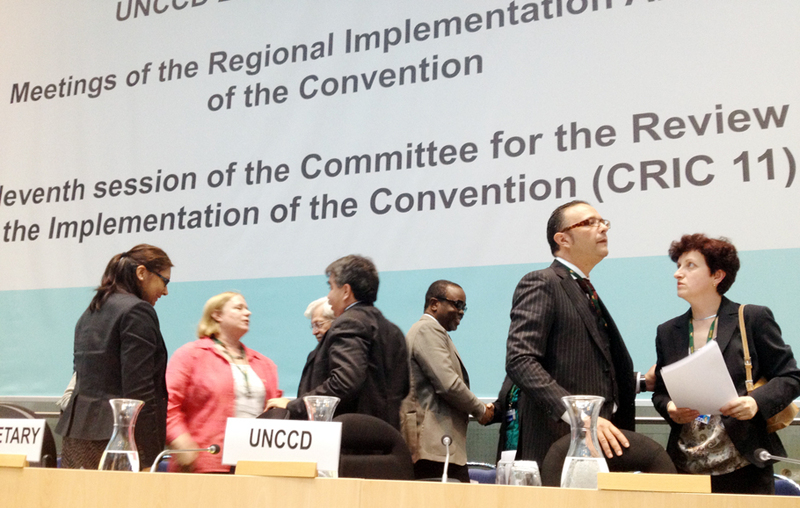 CRIC 11 opened on Friday morning with a discussion of the Secretariat’s draft advocacy policy framework on the thematic issue of drought, including water scarcity. Following presentation of a case study of Kenya’s integrated approach to drought management, delegates discussed strategies to enhance capacity building, gender mainstreaming and drought management. 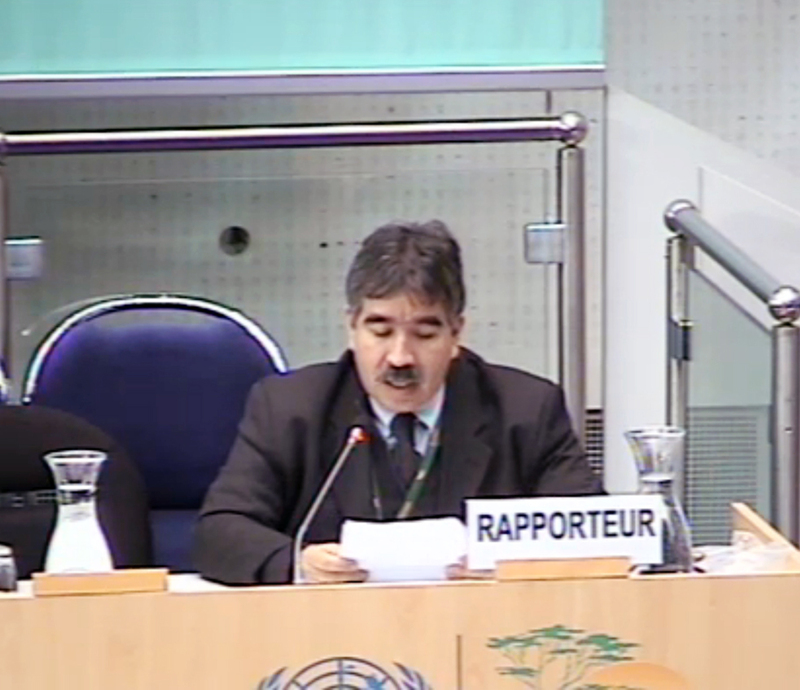 Chencho Norbu, Chair of the Inter-sessional Working Group for the Mid-term Evaluation of the Convention’s 10-year Strategy, updated delegates on its work, followed by a briefing of the Secretariat on the status of arrangements of the Global Mechanism. 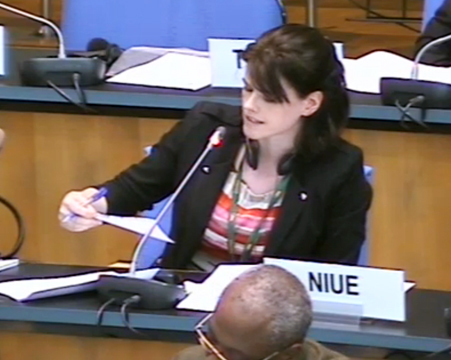 In the evening, the plenary reconvened to discuss and adopt the comprehensive report of the Committee, including its conclusions and recommendations. 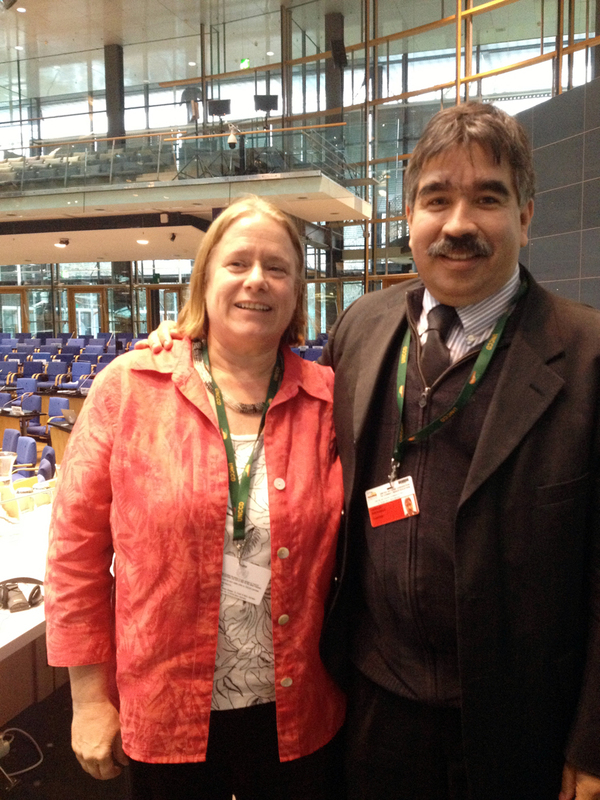 The report was adopted after a few minor editorial revisions and the addition of a paragraph noting that some states encouraged the UNCCCD and its member States to take advantage of the opportunities provided by the Intergovernmental Science-Policy Platform on Biodiversity and Ecosystem Services (IPBES) and noted the 15 May 2013 deadline to submit requests to IPBES. After hearing closing statements from the EU, GRULAC, Japan, Central and Eastern European region, the African Group, the Islamic group, the Republic of Korea and civil society organizations, Chair Rowen declared the meeting closed at 7:53 pm. 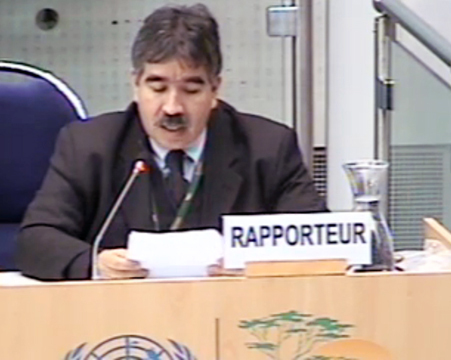 Rapporteur Luis Estuardo Rios González introduces the draft report of the Committee. 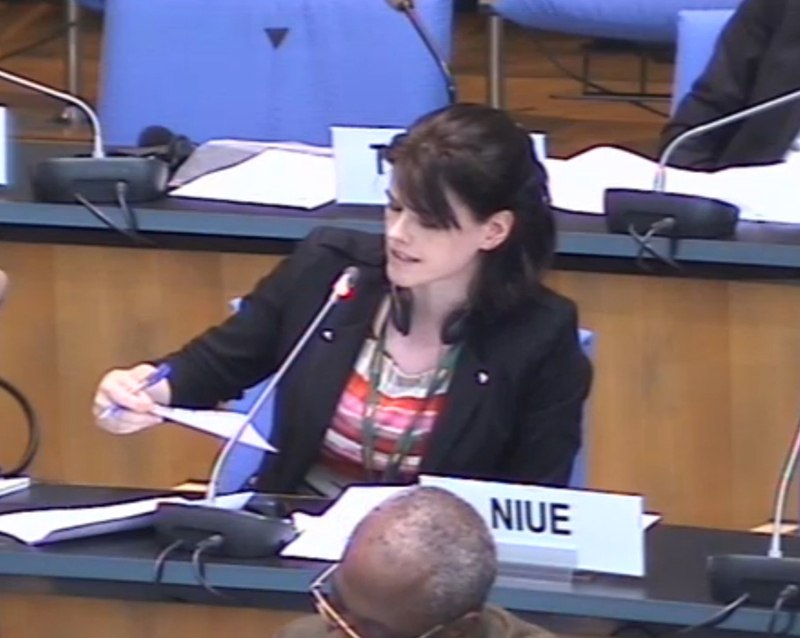 Norway reads out an amendment to the CRIC report. 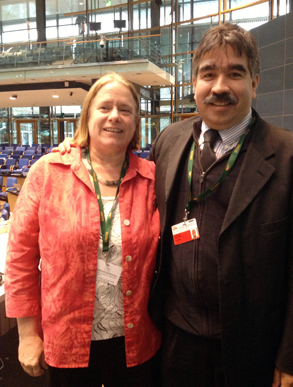 CRIC Chair Mary Rowen congratulates UNCCD Bureau and staff after closing the meeting.